"France, the United States and the United Kingdom are committed to supporting this regional cooperation and strengthening the international means to combat Boko Haram," said a statement released by Hollande's office, the Elysee. This came around a month after Nigeria-based Boko Haram kidnapped more than 200 schoolgirls and menaced to "sell them on the marke". Participants at Saturday's summit agreed to "build analysis and response capabilities that will contribute to enhancing the security of all populations and the rule of law in the areas affected by Boko Haram's terrorist acts". On regional level, they vowed to implement coordinated patrol to locate the missing schoolgirls, establish a system to pool intelligence and mechanisms for information exchange on trafficking of weapons and finally to improve border control. On international level, "the participants commit to accelerating the implementation of international sanctions against Boko Haram, Ansaru and their main leaders, within the United Nations framework as a priority", the statement said. 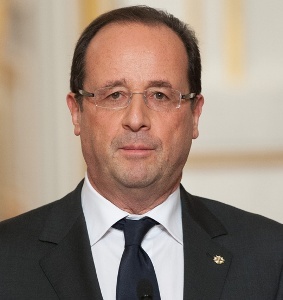 "Boko Haram has anti-civilisation strategy to destabilise Nigeria and the destruction of the fundamental principles of human freedom also," Hollande told reporters after Saturday's meeting. "An overall plan must be implemented to exchange information, coordinate activities, control borders and act appropriately." Boko Haram has claimed responsibility for the abduction of 276 schoolgirls during a raid in the village of Chibok in north-east Nigeria last month. All of the schools in the area had been closed because of a recent spate of terrorist attacks in which students were the apparent targets. The incident triggered global outrage and raised calls for close security cooperation to fight terror cells in the region. While international efforts were underway, about 50 of the girls have so far managed to escape from their abductors. Some members of the Islamist militant group have been arrested and international efforts were under way to rescue the schoolgirls.